The First Annual Boston Food Truck Festival, located at the SOWA market on Sunday, was the place to be this weekend. The line for the Boston Speed Dog (a zucchini-sized hot dog) was nearly a block long, while other food truck aficionados waited up to an hour for a taste of Fillbelly's chicken and waffles. 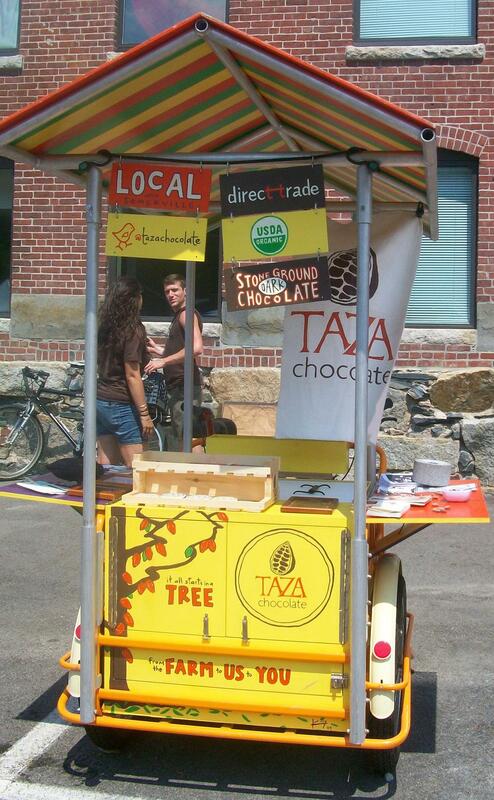 Other vendors, including Grillo's Pickles and the Taza Chococycle, were inundated with hungry visitors — including Mayor Thomas M. Menino. Today, the City of Boston issued a Request for Proposals (RFP) for the 2011 Boston Food Truck Challenge . We spoke with "Boston Food Czar" Edith Murnane and City Council President Mike Ross about Boston's new efforts to fill the city's streets with mobile food culture. This program aired on August 9, 2010.